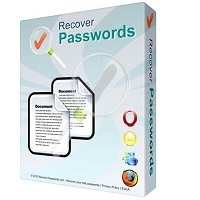 Recover Passwords - an indispensable tool for any user with which you can recover any password to a more than 100 programs, including such popular as Mozilla Firefox, Opera, MSN Messenger, Microsoft Outlook, etc. The program quickly scans your computer, andcomputers on your network and give the necessary and forgotten passwords can be saved in TXT, HTML, Word, Excel, PDF, CSV, XML formats and print on your printer. »Recover passwords from 108 installed software programs, including such popular programs as Mozilla Firefox, MSN Messenger, Microsoft Outlook, etc. Here is the full list of supported programs. »As additional feature retrieves usernames, and any other related information if available. »Export recovered data to Text file, HTML, Word, Excel, PDF, CSV, XML or tab separated files. »Scan remote network computer without installing anything on remote PC. »Scan all network computers. You can enter IP range, list of IPs or just list of computer names (useful for those who're using DHCP server). »Recover Passwords can scan multiple remote PCs at the same time; this will save you a lot of time. »Nice looking intuitive user interface, but with solid amount of options. »Easy customizable and nice looking printing. »Free and friendly technical support. We add any possible software to Recover Passwords at your request. »Working on Windows NT / 2000 / XP / Vista / Windows 7 and available in 12 languages. "Recover passwords from 108 installed software, including such popular programs such as Mozilla Firefox, MSN Messenger, Microsoft Outlook, etc. "Convenient and intuitive multilingual (12 languages) interface. 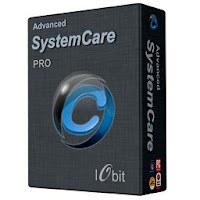 Advanced SystemCare Pro - analyzes the system and then optimizes your system configuration, including changes in the optimal security settings, deletes system of Spyware and Adware, corrects errors in the registry and deletes temporary files, optimizes internet connection allows you to manage autoloading applications, Defrag File System, etc. etc. With the power of this program you can clean your computer from spyware and adware, detect and eliminate possible threats in advance and a security breach the OS to fix bugs in the system registry, clean up temporary and unwanted files, manage lists, autoloads, optimize system performance. • Multilingual user interface, including the Russian language. + Optimized "PC Health" and "Performance Monitor"
+ Optimized "Registry Fix", "Malware Removal", "System Optimization", "Disk Defragment" and "Shortcut Fix"
+ Enhanced tools such as "Disk Cleaner", "Cloned Files Scanner"
SmartCode VNC Manager is an easy-to-use remote assistant with whom you can always watch what is happening on the remote machine, as well as manage it. This is a worthy replacement RemoteAdmin. On the remote machine stoiyat or VNC or Windows Terminal Server. The program has a nice interface and a bunch of settings. For beginners, is not difficult to install and configure it. 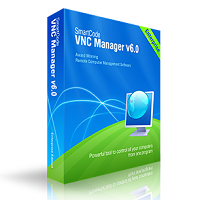 SmartCode VNC Manager represents a powerful yet very easy to use remote administration and monitoring software application for both the business and home network environments. It is typically used for remote network management, remote system administration and in helpdesk environments. · Servers or for any computer responding to a Ping request. · Send Wake-on-LAN "magic packet"
· LogMeIn: Added ability to open in embedded (tabbed) or via stand-alone web browser window. · LogMeIn: Added ability to auto-fill login details. · Virtual Connections: Added Hyper-V Virtual Machine Pass-Through connection. Note: it's still possible to establish a Hyper-V connection via a registered computer. The new feature offers more user-friendly way for establishing Hyper-V connections. · The LogMeIn Connection Url field does not allow entering url that contain more than 100 characters. · VNC Manager crashes with System.InvalidCastException. · Remote Tools: Duplicate tools may appear in the tools list. · Licensing: Registration fails to store your serial number if the Organization field is empty.